Comilla Victorians beat Dhaka Dynamites by 17 runs to win the final of the 6th edition of the BPL – Bangladesh Premier League on Friday, 8 February 2019. Comilla Victorians 199-3 (20 overs). BPL – Bangladesh premier Leagure started from January 5, 2019. There are Seven teams in BPL 2019 are Dhaka Dynamites, Comilla Victorians, Rangpur Riders, Khulna Titans, Sylhet Sixers, Chittagong Vikings and Rajshahi Kings. There are two matches in a day; First match at 12:30 noon and 2nd Match at 5:20pm. Friday Matches will be held at 2pm and 7pm. BPL 1st round Ticket schedule and price. BPL Tickets selling will be starting form January 3, 2019. Minimum price of BPL Ticket is Tk. 200. BPL 2019 Tickets will be available at Mirpur Indoor Stadium and Sher e Bangla Cricket Stadium at Gate No. 1 from 9am to 6pm. BPL Club House Ticket: 500 taka. VIP Gallery Ticket Price: 500 taka. BPL 2nd Round Schedule and Ticket price. Second Round ticket will be selling from January 24, 2019. Ticket will be available MA Aziz Statium and Johour Ahmed Stadium. First phase, from January 5 to January 13, 2019, Venue: Sher – e Bangla National Cricket Stadium, Dhaka. Bangladesh. 05/01/2019 : : Rangpur Riders <vs> Chittagong Vikings. 05/01/2019 : : Dhaka Dynamites <vs> Rajshahi Kings. 06/01/2019 : : Comilla Victorians <vs> Sylhet Sixers. 06/01/2019 : : Rangpur Riders<vs> Khulna Titans . 08/01/2019 : : Dhaka Dynamites <vs> Khulna Titans. 08/01/2019 : : Comilla Victorians <vs> Rangpur Riders. 09/01/2019 : : Sylhet Sixers <vs> Chittagong Vikings. 09/01/2019 : : Khulna Titans <vs> Rajshahi Kings. 11/01/2019 : : Rangpur Riders<vs> Dhaka Dynamites . 11/01/2019 : : Comilla Victorians <vs> Rajshahi Kings. 12/01/2019 : : Chittagong Vikings <vs> Khulna Titans. 12/01/2019 : : Dhaka Dynamites <vs> Sylhet Sixers. 13/01/2019 : : Rangpur Riders <vs> Rajshahi Kings. 13/01/2019 : : Chittagong Vikings <vs> Comilla Victorians. Second phase, from january 15 to January 19, 2019, Venue: Sylhet International Cricket Stadium, Sylhet, Bangladesh. 15/01/2019 : : Khulna Titans <vs> Rajshahi Kings. 15/01/2019 : : Sylhet Sixers <vs> Comilla Victorians. 16/01/2019 : : Dhaka Dynamites <vs> Rajshahi Kings. 16/01/2019 : : Sylhet Sixers <vs> Rangpur Riders. 18/01/2019 : : Dhaka Dynamites <vs> Sylhet Sixers . 18/01/2019 : : Khulna Titans <vs> Comilla Victorians. 19/01/2019 : : Sylhet Sixers <vs> Rangpur Riders. 19/01/2019 : : Chittagong Vikings <vs> Khulna Titans. Third phase, From January 21 to January 23, 2019, Venue: Sher- e Bangla National Cricket Stadium, Dhaka, Bangladesh. 21/01/2019 : : Comilla Victorians <vs> Rajshahi Kings. 22/01/2019 : : Khulna Titans <vs> Rangpur Riders. 22/01/2019 : : Comilla Victorians <vs> Dhaka Dynamites . 23/01/2019 : : Chittagong Vikings <vs> Rajshahi Kings. 23/01/2019 : : Khulna Titans <vs> Sylhet Sixers. Fourth phase, From January 25 to January 30, 2019, venue: Zahur Ahmed Chowdhury Stadium, Chittagong. 25/01/2019 : : Sylhet Sixers <vs> Rajshahi Kings. 25/01/2019 : : Chittagong Vikings <vs> Rangpur Riders. 26/01/2019 : : Khulna Titans <vs> Sylhet Sixers. 26/01/2019 : : Chittagong Vikings <vs> Rajshahi Kings. 28/01/2019 : : Khulna Titans <vs> Comilla Victorians. 28/01/2019 : : Dhaka Dynamites <vs> Rangpur Riders. 29/01/2019 : : Rangpur Riders <vs> Rajshahi Kings. 29/01/2019 : : Chittagong Vikings <vs> Comilla Victorians. 30/01/2019 : : Chittagong Vikings <vs> Dhaka Dynamites. 30/01/2019 : : Sylhet Sixers <vs> Rajshahi Kings. Final stage, From February 1 to February 8, 2019, Venue: Shere Bangla National Cricket Stadium, Dhaka. 01/02/2019 : : Dhaka Dynamites <vs> Comilla Victorians. 01/02/2019 : : Chittagong Vikings <vs> Sylhet Sixers. Bangladeshi icon players in the BPL 2019. Foreign icon players in the BPL 2019. Andre Russell, Kieron Pollard, Sunil Narine, Rowman Powell, Ian Bell. Shahid Afridi, Evelyn Lewis, Shoaib Malik, Steven Smith, Liam Dawson, Thesira Perera. David Malan, Yasser Shah, Brendan Taylor, David Vies, Carlos Brefte, Lasith Malinga, Paul Stirling. Ryan Ten Decot, Issu Bardana, Mohammed Hafeez, Sekige Prasen. Sikandar Raja, Dasun Shanka, Nazibullah Zadran, Mohammad Shehzad, Luke Ronchi, Cameron Delport. 1) Shakib Al Hasan – 55 Lac. 2) Mashrafe bin Mortaza – 50 Lac. 3) Mushfiqur Rahim – 50 Lac. 4) Tamim Iqbal – 50 Lac. 5) Mahmudullah Riyad- 50 Lac. 6) Liton Das – 40 Lac. 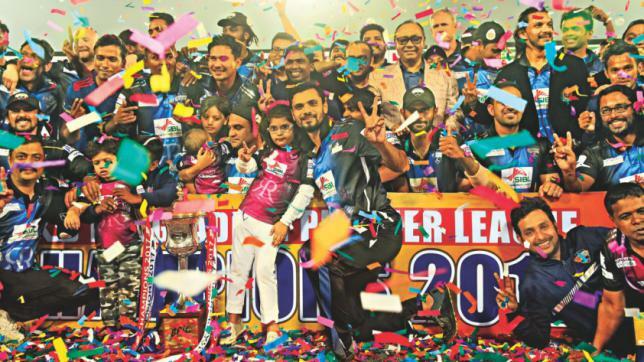 Rangpur Riders won the fifth edition of the Bangladesh Premier League 2017 with a 57 run victory against defending champions Dhaka Dynamites at sher e Bangla National Stadium, Dhaka, Bangladesh. The match was a one man show by the legend cricketer of West Indies Chris Gayle who scores unbeaten 146 runs with Brendon McCulium 51 runs. BPL 2017 tickets prices for Sylhet Stadium Mirpur stadium and Chittagong Stadium. BCB announced BPL ticket prices for BPL cricket 2017. – Prices begin at Tk.200 for an Eastern Stand ticket, Tk300 for the Western Stand, Tk 400 for the Grand Hill Area, Tk 500 for Club house seats & Tk 200 for a place in the Grand Stand. Each person can enjoy both the matches of a day with one BPL ticket. BPL 2017 semi-final and final match ticket prices still not declared. A total of 81 players, including 19 overseas players, were drafted into six franchises through lottery-based players-by-choice transfer system at a hotel in Dhaka, Bangladesh. Bangladeshi players for BPL Chittagong Vikings : Tamim Iqbal (Icon), Ziaur Rahman, Elias Sunny, Naeem Islam, Anamul Haque, Taskin Ahmed, Enamul Haque (junior), Asif Ahmed, Nafees Iqbal, Yasir Ali, Shafiul Islam,. Overseas players: Robin Peterson, Kamran Akmal, Umar Akmal, Mohammad Amir, Elton Chigumbura, Saeed Ajmal, Jeevan Mendis, Chamara Kapugedera. Bangladeshi players for BPL Rangpur Riders : Shakib Al Hasan (Icon), Mohammad Mithun, Muktar Ali, Saklain Sajib, Soumya Sarkar, Arafat Sunny, Murad Khan, Jahurul Islam, Abu Jayed Chowdhury, Rasel Al Mamun. Overseas players: Lendl Simmons, Sachithra Senanayake, Darren Sammy, Thisara Perera, Mohammad Nabi, Wahab Riaz. Overseas players: Brad Hodge, Sohail Tanvir, Chris Jordan, Joshua Cobb, Shahid Afridi, Ravi Bopara, Ajantha Mendis. Overseas players: Evin Lewis, Brendan Taylor, Seekkuge Prasanna, Mohammad Sami, Chris Gayle, Kevon Cooper, Imad Wasim. Bangladeshi players price were set a base price between $10,000 & $50,000, while international players price were set a base price between $15,000 and $75,000. BFinance Minister of Bangladesh A M A Muhith inaugurated BPL – Bangladesh Premier Leagure 2015 at Mirpur Sher-e-Bangla National Cricket Stadium at 8pm on Friday, November 20, 2015. Bangladesh Cricket Board (BCB) President Nazmul Hassan delivered the welcome speech in the inauguration ceremoney. After the inauguration, the captains of 6 teams of 3rd version of BPL were called to the stage. The entertainment programme started with dancer Sadia Islam Mou’s performance at 5:30pm. Then Ayub Bachchu’s band LRB performed some popular numbers of songs. Band Chirkut’s performance was followed by a highly applauded series of songs by Bangladeshi singer Momtaz. Indian singer Kay Kay (Krishnakumar Kunnath) was performed there. 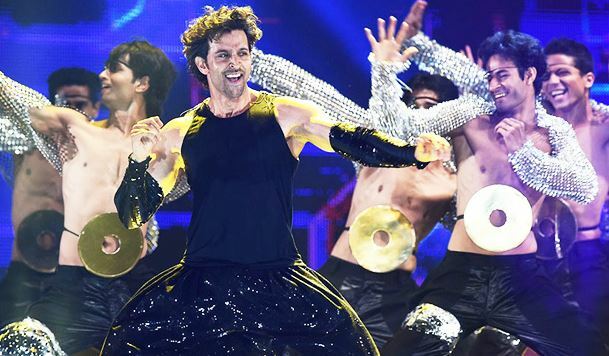 Then came Bollywood actor Hrithik Roshan and actress Jacqueline Fernandez of Sri Lanka-Bahrain with their glamour dances.